If you’re into chocolate (who isn’t) and cannabis (why not?) then you have to try Kiva chocolate bars. They are the smoothest, milkiest, non-cannabis tasting chocolate bars with cannabis we at Budline have ever tried. It’s a real difference here, this bar tastes just like chocolate. We tried the 60 mg, which comes in milk and dark. The oil they use is a mix of sativas and indicas they say that are “California’s highest quality”. You can easily break the bar into four squares to control your dose. We are excited to try the 180 mg bars and various flavors too. 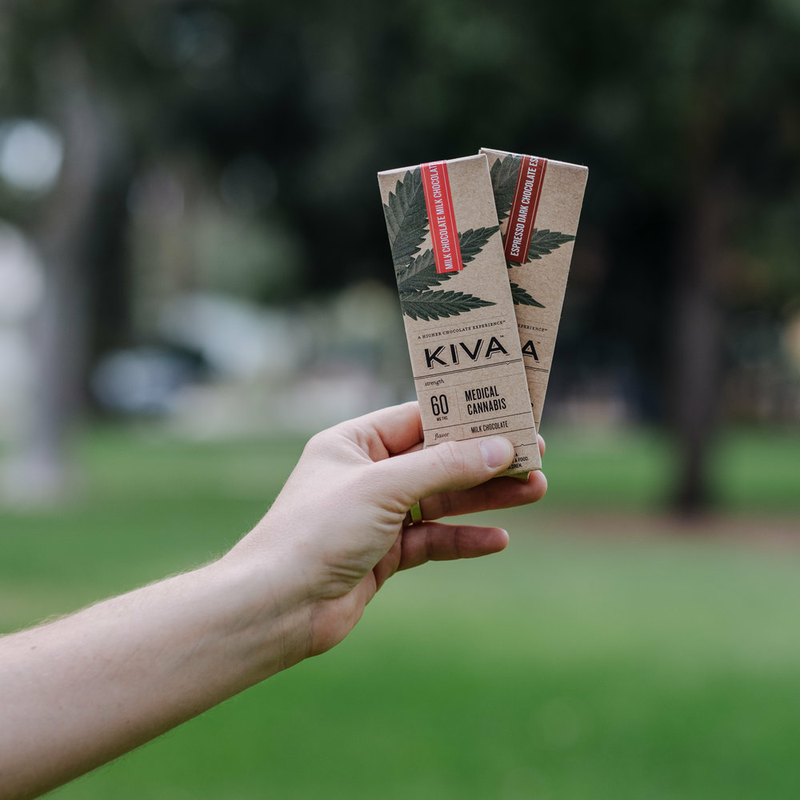 The company who makes the bar is called Kiva. They are a non-profit collective who make the highest quality edibles and lab test everything to make sure it’s always a consistent experience. You can tell they love what they do ­– which is making mind blowing chocolate. To keep fresh and increase shelf life refrigeration is recommended.